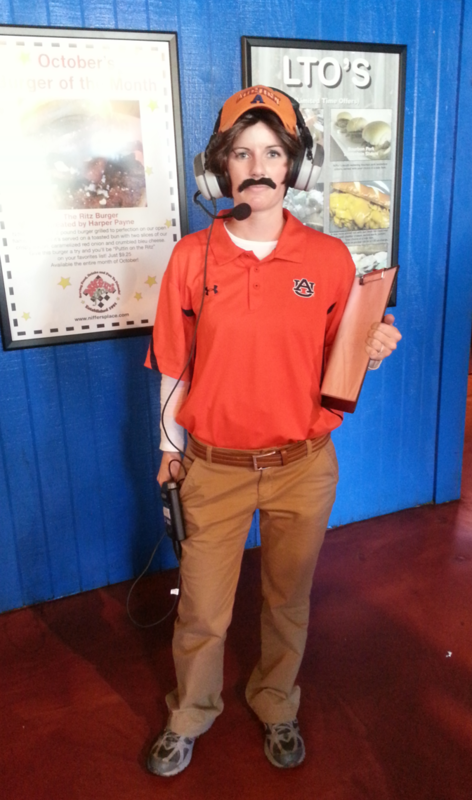 It’s the obvious Auburn Coach costume—throw on an Auburn hat, slap on a ‘stache, good to go. But Amity from Dr. Sprayberry’s office, who lunched today at Niffer’s, adds an extra dose of realism with a headset and clipboard. It’s the first Brian VanGorder costume we’ve seen today. But we’re pretty positive it won’t be the last. Related: Brian VanGorder in college. Absolutely terrifying to Auburn fans. But sadly, not to anyone else.